Otaru is a city and port half hour northwest of Sapporo. It faces the Ishikari Bay and has long served as the main port of a Sapporo region. Its beautifully preserved canal area, interesting herring mansions and many historical buildings make Otaru one of the most popular destinations in Hokkaido. 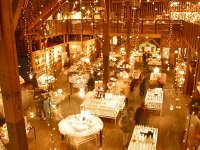 Its proximity allows for a pleasant day trip from Sapporo or a nice stop en route to or from Niseko or the Shakotan Peninsula. Otaru has gained the nickname "Wall Street of the North." The glassworks shops, coffee shops, restaurants and shopping malls along the canal have been converted from stone-built or brick-built warehouses, which were used for storage in the days when commerce flourished and the canal was crowded with jostling barges. When night falls, oil lamps on the cobbled streets are lit, and the town evokes a gentle, nostalgic mood. 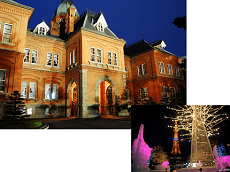 Old warehouses and former office buildings by shipping and trade companies give Otaru's city center a special character reminiscent of past decades. 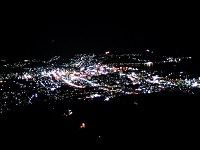 Otaru's another nickname is "the town of hills" as there are so many hills. 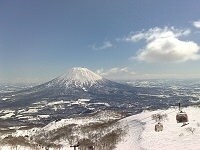 Otaru Tengu-yama Ski Resort that towers behind Otaru is considered Hokkaido's first ski course. There is an observation point on Mt. 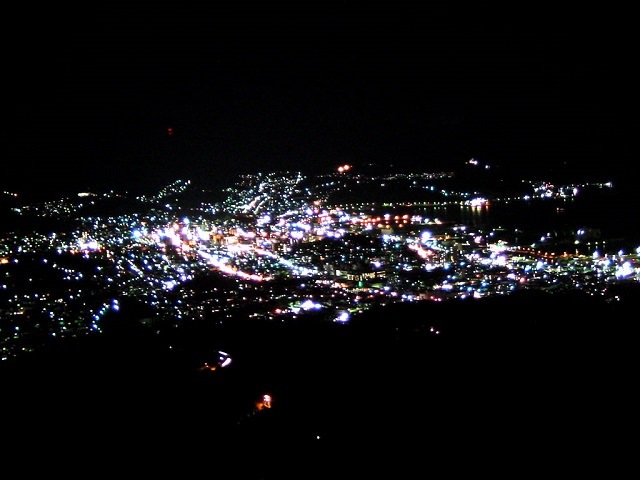 Tengu-yama, and the panoramic view including the whole of Otaru and its port area is absolutely wonderful. Cable cars are also available to take you to the mountaintop.